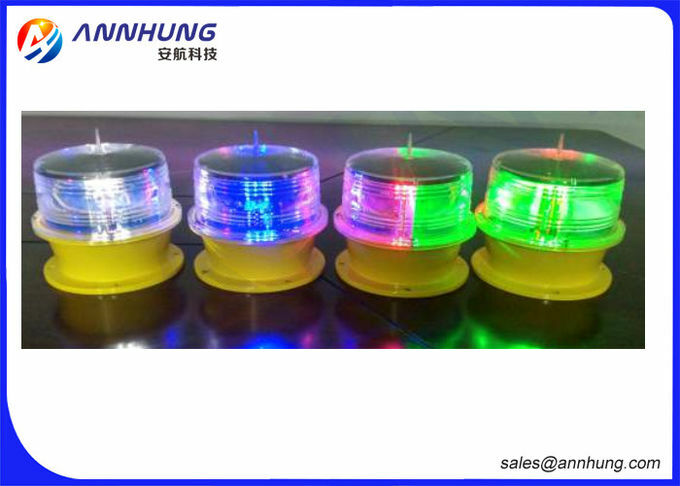 AH-SA/B Solar Airfield Light is specially used on permanent airport/heliport where cable power is not convenient or temporary helipad. Light weight make it very easy for user to take and move the AH-SA/B. l Integrated design, enabling a rugged and completely waterproof seal capable of prolonged and deep immersion (IP68). l PC housing, UV resistance, shockproof and corrosion proof. AH-SA/B Solar Airfield Light has one photocell. It can work alone automatically at night by photocell when ambient brightness is lower than 500cd/m2 and close during the day. 1. International advanced solar panel reaching at least 10 years service life. 10. Small volume especially being suitable for heliport portable using.